Destruction for creation. October. 18, 2018 07:32. . The “self-destruction” of a painting by British artist Banksy right after being auctioned off at Sotheby's London for 1.4 million U.S. dollars will be remembered forever as an important moment in art history. If the British artist made history by destroying his own painting to create the first-ever artwork creating during an auction, German artist Martin Kippenberger turned an expensive painting by another artist into his own by damaging it. This photograph shows a gray coffee table along with all-gray abstract paintings. These boring gray paintings were a series created by Gerhard Richter, a German master painter, in the 1970s. Richter is one of the most expensive artists in the art market. His abstract paintings are worth up to 4.5 million dollars apiece. 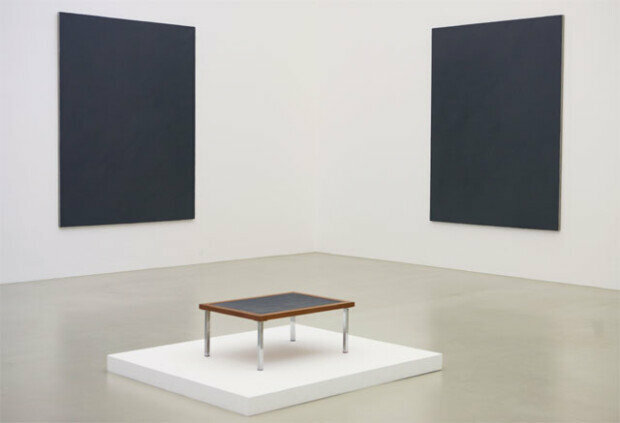 In 1987, Martin Kippenberger, one of the most “problematic” artist in Germany, purchased a gray painting by Richter, only to turn it into a cheap coffee table. He did the planning and designing, while his assistant made the table. The table, which was created by adding a frame to the painting and attaching steel legs, was neither functional nor aesthetic. The sculpture by an obscure artist in his 30s created with a renowned painter’s painting, which was sold at a price far less that the value of the material. The painting was purchased for the price of a Richter’s work and sold off for the price of Kippenberger’s work after the alteration. It was an act of breaking the practice and rules in the art market. In addition, it was a Kippenberger-style criticism and satire about the art market where an artist’s fame determines the value of his or her artwork. Picasso said, “Every act of creation is first an act of destruction.” Kippenberger put it into action 30 years before Picasso made the famous remark. Kippenberger, who was also self-destructive, died at age 44 in 1997 of liver cancer caused by his drinking habit. 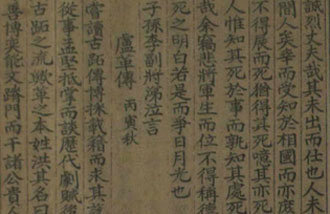 His works, which were priced at around 10,000 dollars apiece when he was alive, now costs more than 10 million dollars. If another young artist destroys the coffee table to create a new artwork, who would be the final owner of the copyright? What it become more expensive than now?